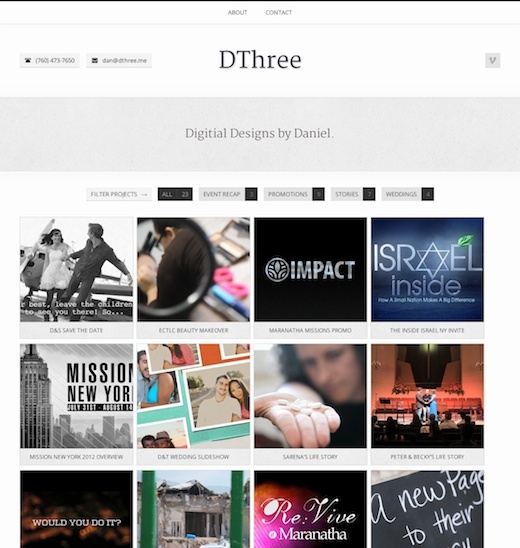 The site for Daniel Moriarty (DThree.me) was a simple and quick portfolio. 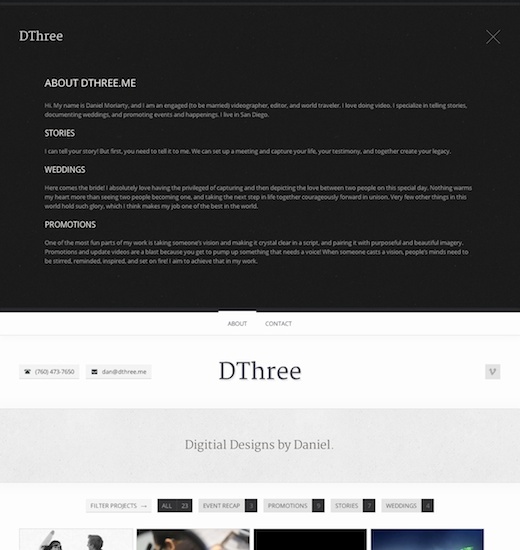 Dan found his theme of choice (Firefly) on ThemeForest and we set to work. As the primary purpose of the site is to showcase Dan’s video, featuring his Vimeo work was my main responsibility. Gravity Forms were used for the Contact page and Vimeography for the recent video widget in the footer. The project was competed in December 2012.